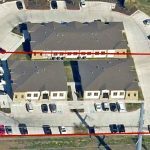 A 7,200 square foot Net Leased National Tire and Battery – Chattanooga, TN sold for an undisclosed amount. 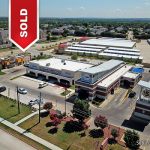 The Seller was represented by Brad Motley of KW Net Lease Advisors, a Texas based investment real estate brokerage & advisory firm, and the Buyer was represented by Adam Jennings of Stan Johnson Company. National Tire and Battery®, was acquired by TBC Corporation in 2003 from Sears, Roebuck & Company. 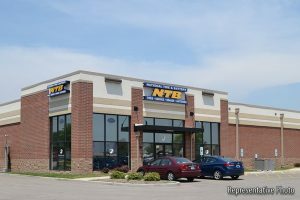 NTB Tire and Service Centers provides a broad range of automotive maintenance and tire services in more than 400 retail locations. TBC Corporation is one of the nation’s largest vertically integrated marketer of tires for the automotive replacement market. 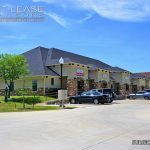 The Company’s retail operations include Company-operated tire and automotive service centers under the ” Tire Kingdom”, “Merchant’s Tire & Auto Centers”, and “National Tire & Battery” brands, and franchised stores under the “Big O Tires” brand. TBC markets on a wholesale basis to regional tire chains and distributors serving independent tire dealers throughout the United States, Canada, and Mexico. TBC Brands represents thirteen powerful tire brands including Multi-Mile, Eldorado, Sumitomo, Harvest King, Power King, and Towmax, and specializes in passenger, commercial, farm, and specialty tires. TBC Brands’ tires are manufactured to exacting manufacturing standards and offer consumers superior value vs. the comparable brand name competition. Independent tire dealers consistently rate TBC Brands high in Product Availability, Line Coverage, Delivery, Product Innovation, and Best Overall Brand. 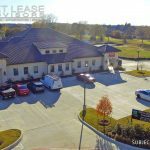 See more about National Tire and Battery including average trading prices, lease details and cap rates.